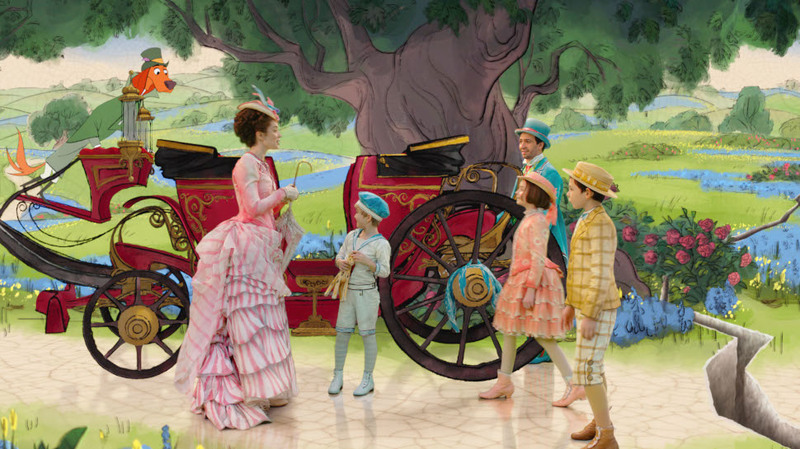 Mary Poppins Returns is still just about on general release in the UK, and if you haven’t had the pleasure yet then get yourself down to the pictures spit-spot for a couple of hours of pure joy. Emily Blunt (A Quiet Place) stars as Mary in the sequel to the 1964 original, alongside Lin-Manuel Miranda (Hamilton) as Jack the lamplighter, and Emily Mortimer and Ben Whishaw (Skyfall) as the grown-up Michael and Jane Banks who are in danger of losing the family home to evil banker Colin Firth (Bridget Jones’ Diary). The new song and dance numbers soar, Blunt is the perfect Mary and the film is lovely to look at – honouring the feel of the original, but full of its own fresh and colourful ideas too. With that in mind, it was exciting to get to recently chat to the film’s Oscar-winning cinematographer Dion Beebe who was the director of photography. As well as Mary Poppins Returns, Beebe has worked on Equilibrium, Collateral, Miami Vice, and Edge of Tomorrow, he also has the live-action remake of The Little Mermaid coming up, and has just finished work on the new Ang Lee film Gemini Man – which stars Mary Elizabeth Winstead (Scott Pilgrim vs. the World) – which Dion tells us all about too. 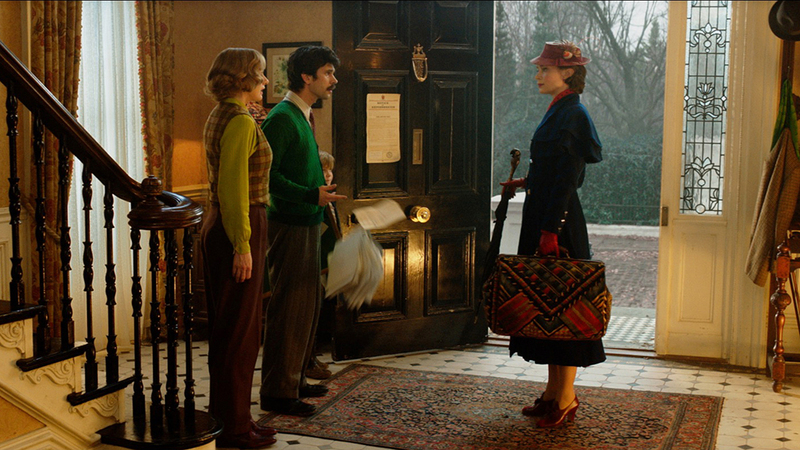 We saw Mary Poppins Returns on Boxing Day and loved it, so I’ve been looking forward to talking to you about it. Good! Great, I’m glad you enjoyed it! Firstly, what are your responsibilities as a cinematographer, and how did you get involved with this film? The role of the cinematographer in its basic form is to manage the look and achieve the look of the movie which relates to: lighting, camera movement, composition, those sorts of elements. Their relationship with the director is important because depending on that relationship their responsibilities can change. When you are, like Ron and I, on our… Poppins was our fifth collaboration together, there is a sort of shorthand and a shared language that you’ve come up with together, so the working relationship becomes a little more symbiotic and that shorthand and understanding creates a partnership. So was already being a previous member of Rob Marshall’s creative team how you became a part of the film? Yeah, we go back – I don’t wanna count the years! – so normally when he gets a project we would discuss it quite early on, maybe a year out from actual production, just about what he’s considering, and ideas for it, as it gets going, then as it becomes an ongoing conversation I’ll come on full-time with the production. Did it being a sequel to such a beloved film phase you at all? Yeah… I think that was very much a part of our early conversation about do we sort of properly reflect the iconic nature of the original? And how do we create an aesthetic that both brings the character to a new audience, but also grounds it in what is a character that lives in peoples memories and their childhood. We realised we couldn’t totally reinvent her, and that was a discussion between myself and Rob, and John Myrhe, about how we sort of find that balance. Were there any specific things you wanted to do to honour the look of the original? I think if you look back at the original it’s interesting because it’s quite obviously stylised in terms of the animation and the fantasy sequences in the movie, but also what is the “real world” in the movie is quite stylised. The sets very much look like sets. There’s a lot of matte paintings of London… It feels like there is an artifice that you can feel all the time, you know? They didn’t try and ground the movie in reality necessarily. When we approached it we talked about trying to ground it a little more. So Cherry Tree Lane, the house, London, had a little more grounding than the original. We wanted to create that so that when we leapt into the fantasy sequences it had a nice contrast. Also stylistically it’s a film that slowly progresses as we add the adult stuff and see the world differently, and as we change the story around we change our view of London and this world and everything becomes hopeful and more colourful. You mentioned having a year to prepare – how long do you usually get and what does that preparation entail? The standard prep can be anything from four to six months. I have gone eight to ten months on projects. With Rob, the prep is longer, particularly when we work on music films, because there’s a standard discussion about what a cinematographer does: what look we’re trying to achieve, what equipment we’re utilising and how we’re approaching visual effects. There’s a technical equipment breakdown that you deal with that is slightly… for me the less interesting part of the process. But then there are the discussions about what it is you want to achieve, the colour palette, these sorts of… the camera movement, and then with Rob – when we’re doing musicals it’s breaking down the choreography too. I will then get into rehearsals with them early on and I’ll film rehearsals and as they’re working through choreography we will also talk about the camera, we’ll talk about the ideas they have for movement and how we can complement it with the camera and the lighting. So through the pre-production phase, we’re shooting, I’m cutting some kind of temp reels together to look at how the sequences evolve, and then by the time we get to day one of shooting the musical numbers are totally locked down. You could literally take the show on the road. You could take the show on the road because the actors and everyone are so well rehearsed. In terms of “the kit” what kind of visual differences do different camera lenses and kinds of film stock make to a movie? That’s one of the very early discussions – defining the visual style and the visual language of the piece. That will be testing different film stocks and shooting on 35mm film versus shooting digitally. We will also then run tests with stand-ins in costume and any ideas that might be surfacing for colours that the production designer is considering. The stock, the lenses, there’s a lot of tools available to a cinematographer now, especially with the arrival of digital cameras and there are more tool in terms of how we can get the looks. Did you have any favourite sequences in the film to work on, and what different kinds of challenges did they offer? It’s interesting… There’s a couple things… Firstly, it was Rob and I’s first collaboration on an original where we starting from the ground up, so the songs were being written and evolving sometimes during the rehearsal process. So it was such a wide gamut of styles on the film that made it exciting. You’ve got these sort of big production numbers like “Trip a Little Light Fantastic” which was such fun to shoot and quite elaborate, on location and travelling through the streets of London and numerous set-builds that we did at Shepperton Studios, and then finally this big stage with bike stunts and stuff. These sorts of production numbers are incredibly fun to do, but also incredibly hard work, but there’s an energy and a sort of power to these things that make it such fun to be on the set shooting with all these things bursting out. But then we also had the more sort of fantastical sequences, like the underwater sequence. Particularly the hand-drawn animated sequence that was the nod to the original where we went back and worked with these hand drawn animators to create these characters for the film and that was something I hadn’t done before – nor was it something that I imagined that I ever would be doing, and it was really an amazing thing to work on. I saw that you recently worked on Gemini Man – an Ang Lee film starring Mary Elizabeth Winstead – which sounds like my absolute dream movie – what can you tell us about it and its look? With this one we’re going down the road of some new technology. Something that Ang has been experimenting with on previous films, which is shooting at 120 frames a second, and projecting at 120 frames a second. And it’s also in 3D and 4K, so it’s really a remarkable experience when you see the format in its true form, which is one of two theatres right now that can actually show a movie at 120 frames in 3D. But for me it was like starting from scratch – I felt like I was back at film school! It really is a new medium and a new experience. Oh gosh! That sounds incredible and I can’t wait to see it and your work on it. Thank you very much for taking the time to talk to me today. 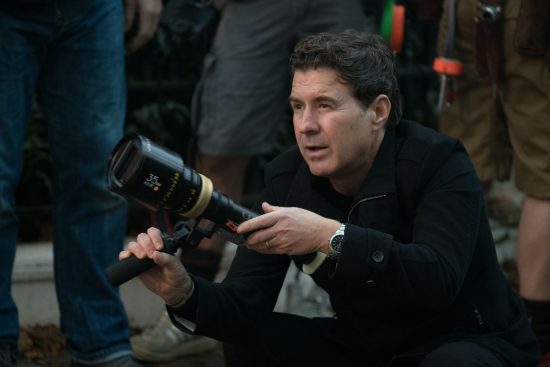 If you’ve now got a taste for it, we also recently spoke to another cinematographer – Charlotte Bruus Christensen – about her work on A Quiet Place, and if you want more behind-the-camera stories and info about Mary Poppins Returns you can check out our chat with production designer John Myrhe here.